At Combat Doors we specialise in fitting bespoke aluminium sliding doors built to the highest possible standards and designed to blend perfectly with the home of each individual customer. The aluminium sliding doors we create blend the best of all possible worlds; they’re ultra-modern and stylish whilst adhering to old-fashioned virtues such as craftsmanship and durability. Just a quick look at our testimonials will underline the fact that the aluminium bi fold doors we create are built to last every bit as much as they’re built to impress. The aluminium sliding doors you’ll find on our website or in our brochure are as practical as they are beautiful. The materials used include thermally efficient glass which helps to keep your heating bills down at the same time as it offers effortlessly breath-taking views out to your garden and beyond. The frames themselves are designed to be as slim, stylish and unobtrusive as possible, creating a set of aluminium sliding doors which offers a virtually unbroken vista along the length of a wall. As the days grow longer and warmer the chance of opening up your home via a set of aluminium bi fold doors becomes even more appealing than throughout the rest of the year. In a matter of seconds, your aluminium sliding doors can be safely, quickly and simply moved to one side, folding in on themselves to open up an entire wall of the house and bring the outside into a degree which is simply not possible any other way. Whether you want to dine outside in the fresh air, give the kids room to run and enjoy themselves or simply enjoy an unbeatable sense of space, light and air, a set of aluminium sliding doors offers the ultimate solution. It’s a solution, what’s more, which will add to the value of your home and allow you to indulge a love of interior design. The design aspect of our aluminium bi fold doors includes the option of being able to pick and choose bespoke details such as the layout of the individual doors, the precise colour scheme and touches such as the handles and the beading. In this way, your aluminium sliding doors may well provide a stunning focal point for your room, but they won’t do so at the expense of everything else. On the contrary, the doors we design, create and fit will complement your existing living space at the same time as enhancing and expanding it. Contact us today and begin the process of transforming your home. Our expert technicians will work to the highest possible standards whilst fitting your aluminium sliding doors, producing stunning results whilst keeping disruption to the absolute minimum. Take a look out of your window, at the sunshine and greenery beyond, and ask yourself how amazing it would feel to be able to simply sweep the window to one side and invite the summer in. 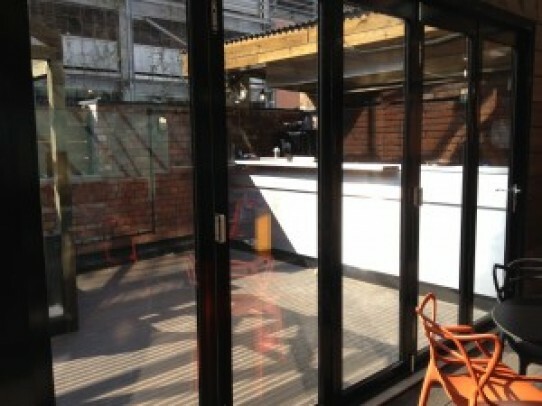 Treat yourself to a set of aluminium bi fold doors and you can find the answer to that question.